Gold foil is one of the best decorating trends right now. It seems like every decorative craft or home decor element has a copper or gold accent to it. It’s a great trend that is sure to stay around for a while. You can add gold leaf to almost any element in your home with the right supplies. 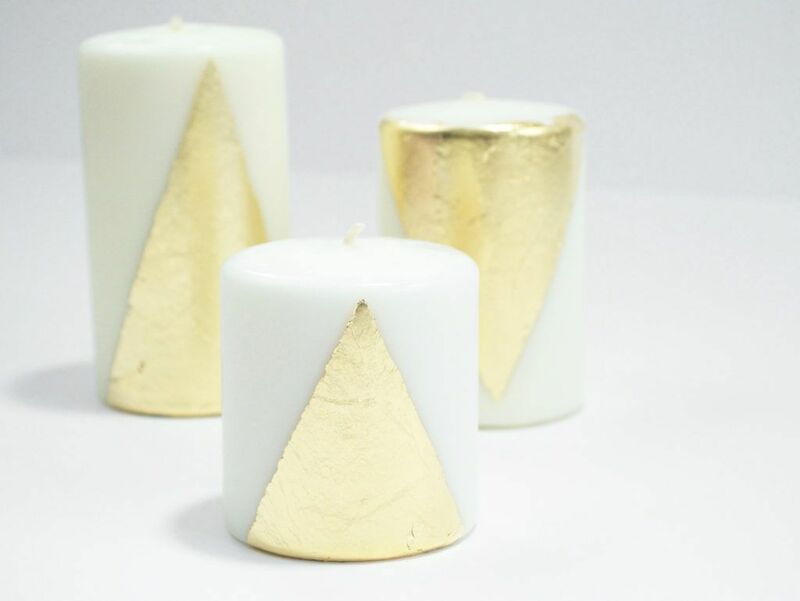 If you want to create some unique candles either for yourself, or a loved one as a gift, try making these gilded candles. 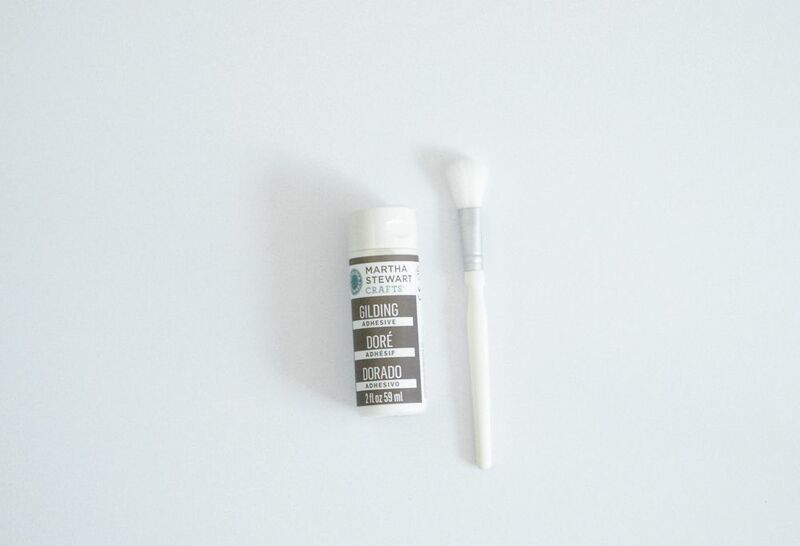 Gilding is a pretty easy process and we’ll show you how. Make sure the surface of the candle is fairly clean. 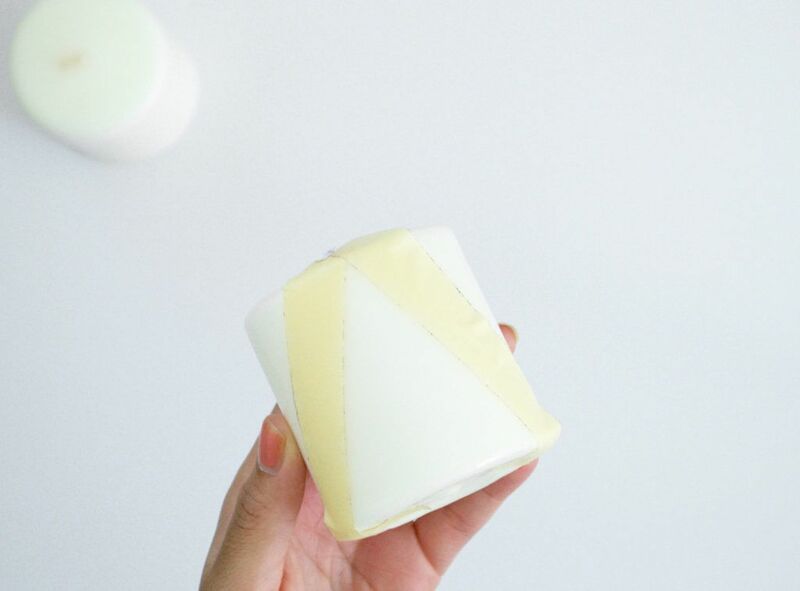 Tape off the section of candle you want to have the foil effect. I decided to tape a V-shape to the candle for a modern look. 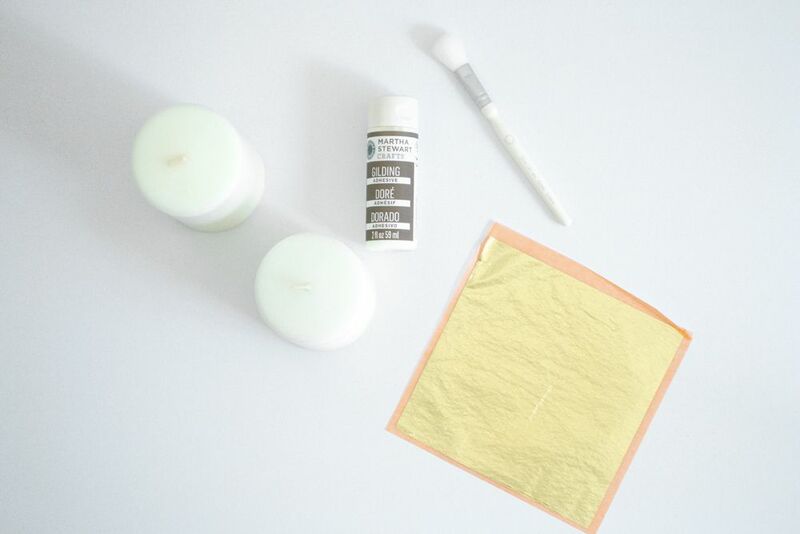 Using a natural bristle brush, paint a thin layer of gilding adhesive to the candle where you want the foil to show. Paint a pretty good amount in this step and set it aside for about 15 minutes. Once the gilding adhesive is tacky to the touch, gently grab a foil sheet. Carefully pick up the foil so that it stays in tack. 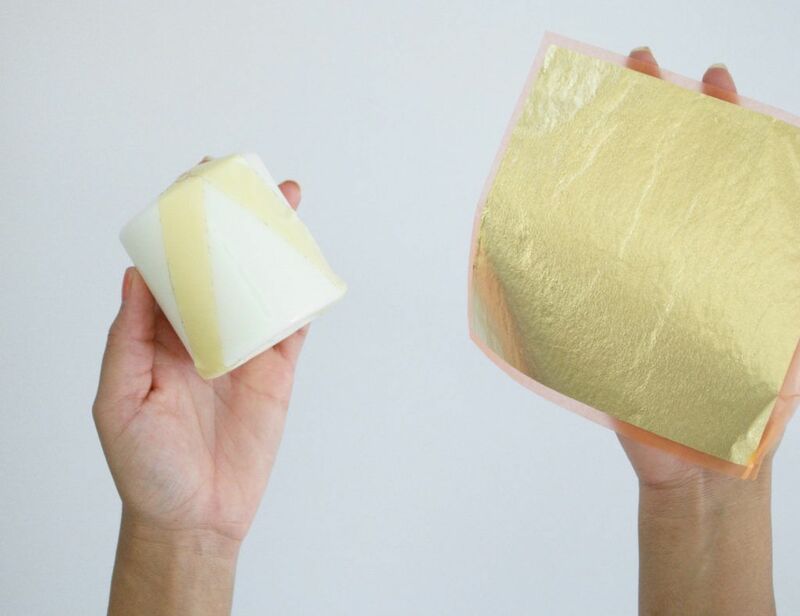 Gilding foil is very fragile, in a sense; if you have any adhesive on your hands or any other area, bits of the foil will come off the sheet and adhere to that area. 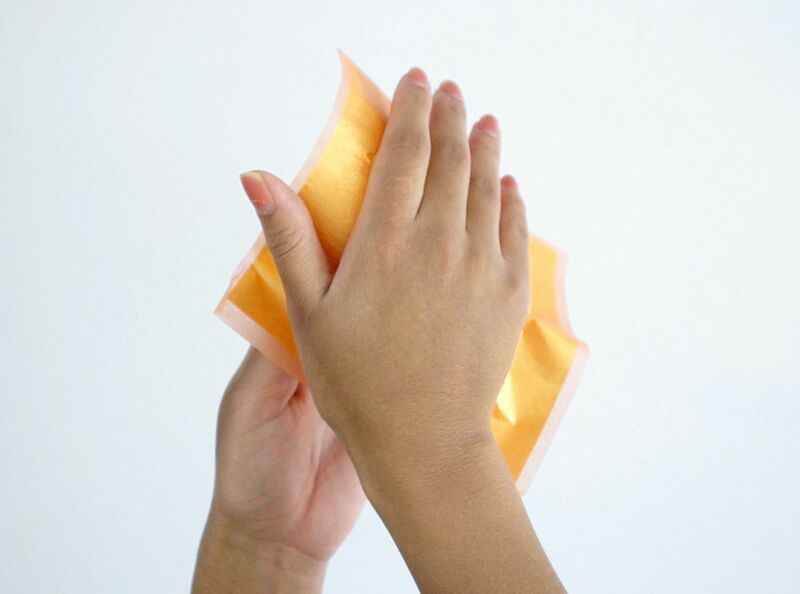 Hold the foil sheet in one hand and the candle in the other hand. Lay the foil sheet evenly across the surface of the candle where the gilding adhesive was. Press down firmly so that every area is covered. Once the foil has transferred, lift the sheet and most of the foil should be adhered to the candle. 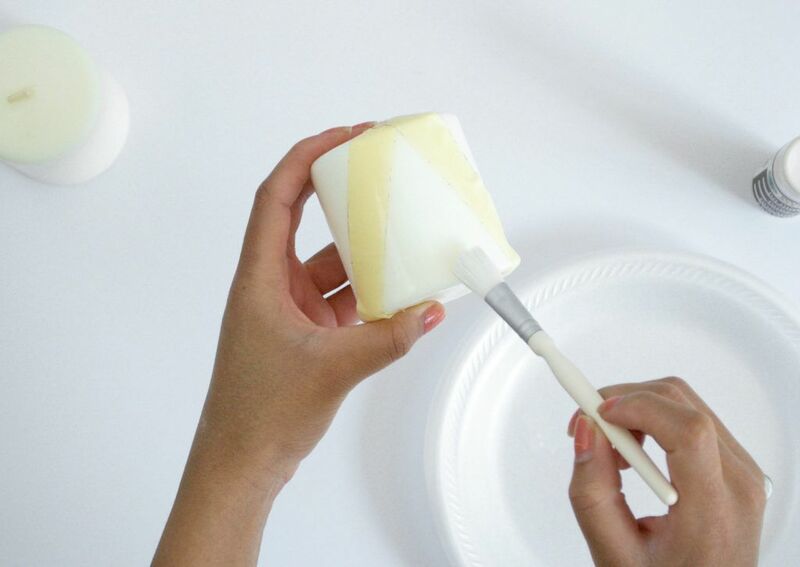 Using the natural bristle brush, brush away any excess foil that has not adhered in the area you taped off. Remove the tape and it should reveal a beautiful foiled look! Try gilding a variety of different objects in your home. 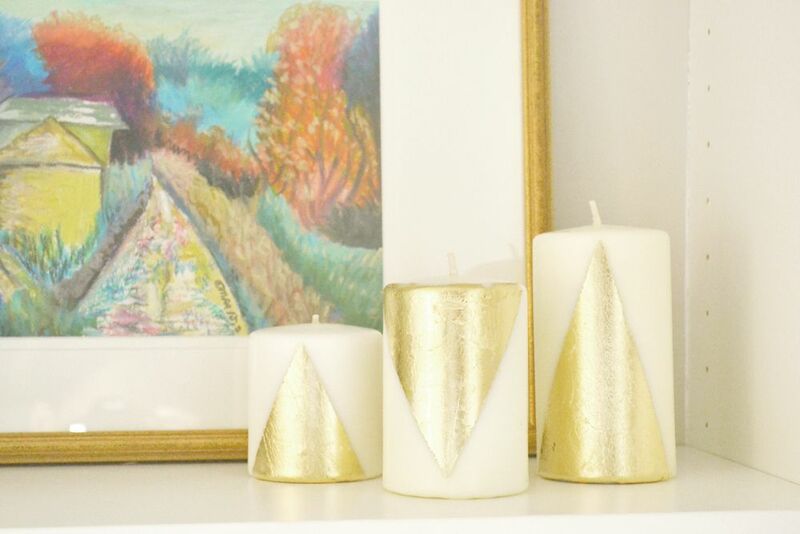 Gold foil looks great accented on candles, vases, dishes and even furniture. You can buy more sheets at your local crafts store. Also, most craft stores offer gilding pens or liquid gold leaf if you prefer to paint or draw on the foiled look. Place these candles on a shelf in your home for a beautiful decoration! 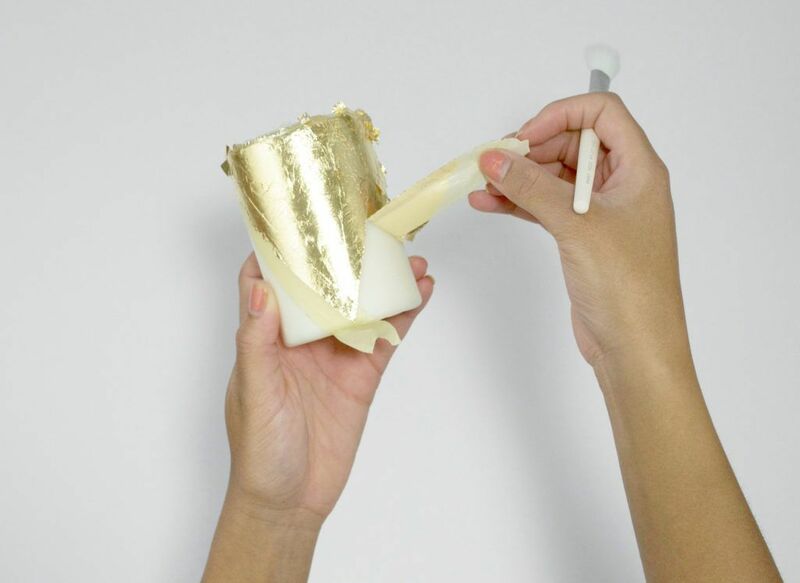 The post DIY Gilded Candles appeared first on DIYs.com.